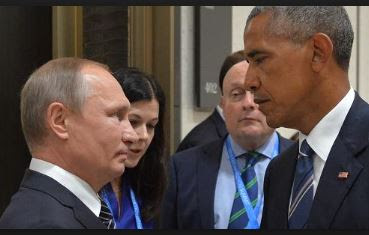 President Barack Obama on Thursday vowed retaliatory action against Russia for its meddling in the U.S. presidential election, pointing to the probable that President Vladimir Putin personally authorised it. “I think there is no doubt that when any foreign government tries to impact the integrity of our elections that we need to take action and we will at a time and place of our own choosing,” Obama said in an interview scheduled to air on Friday on National Public Radio, according to CNN. He said he directly confronted Russian President Vladimir Putin about a potential U.S. response, and said his counterpart acknowledged his stance. “Mr. Putin is well aware of my feelings about this, because I spoke to him directly about it,” Obama said. Earlier on Thursday, Press Secretary Josh Earnest told reporters during the daily White House briefing that “Mr. Trump obviously knew that Russia was engaged in malicious cyber activity that was helping him, and hurting Democrat Hillary Clinton.